A Guantanamo Bay prisoner currently on hunger strike has penned his experiences from the controversial ‘facility’ this week in the New York Times, claiming instances of torture through force feeding and deliberate neglect. Alongside Yemeni Samir Naji al Hasan Moqbel, there is growing concern for the last British resident Shaker Aamer, also amongst the hunger strikers, who was supposed to have returned to the UK in 2007 and yet is still currently being held in Camp Delta. So what is it that makes the UK turn a blind eye to torture allegations when it comes to dealing with the US? 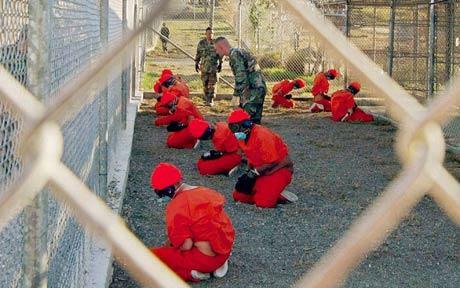 There are clear inconsistencies within the implementation of the UK-US extradition treaty, as the Bush administration even conceded that it had no evidence against Aamer and he was cleared for release with the other British detainees. And despite the UK attempting to change the European Convention on Human Rights (ECHR), as it stands, it does not allow for prisoners to be extradited if there is any possibility for torture, as is the situation with radical cleric Abu Hamza being deported to Jordan. According to Article 3 of the European Convention on Human Rights – “No one shall be subjected to torture or to inhuman or degrading treatment or punishment.” The European Human Rights Court emphasised the fundamental nature of Article 3 in holding that the prohibition is made in “absolute terms … irrespective of a victim’s conduct” (Chahal v. The United Kingdom, 1996). This also meant that states cannot deport or extradite individuals who might be subjected to torture, inhuman or degrading treatment or punishment, in the recipient state. Despite legislation being put in place to support the plight of detainees, there seems to be an overall gap in the actual enactment, allowing some to supersede, and others to fall through the system. 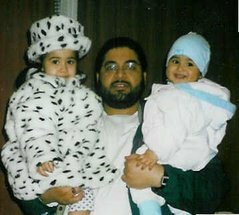 Shaker Aamer with his children. The father of four was captured in December 2001 by the US, which claimed he was fighting with the Taliban, and moved to Guantanamo the following year. He is thought to have spent most of his time in solitary confinement, in a cell 6ft by 8ft, with 24-hour exposure to light, and a succession of hunger strikes has left him weighing half his original 17st. In September 2006, Aamer’s attorneys filed a 16-page motion alleging that he had been held in solitary confinement for 360 days at the time of filing, and was tortured by beatings, exposure to temperature extremes, and sleep deprivation, which together caused him to suffer to the point of becoming mentally unbalanced. A motion was filed to enforce the Geneva Conventions in which the US is a part of, on his behalf. So why has the UK taken a rather blasé stance in terms of Aamer, and yet others in the US penal firing line have been excused? The obvious contradiction can be seen through the case of hacker Gary McKinnon. The Scottish systems administrator was accused in 2002 of perpetrating the “biggest military computer hack of all time,” after allegedly hacking into 97 American military computers at the Pentagon and NASA between 2001 and 2002. McKinnon, who has a diagnosis of Asperger’s Syndrome, remained at liberty without restriction for three years until June 2005. While McKinnon’s Asperger’s Syndrome was used as a reason to block his extradition, Briton Syed Talha Ahsan had no such avail. The 33-year-old was detained without trial in the UK for six years before being extradited to the US in October 2012, although he also has Asperger’s Syndrome. Formerly from Tooting in London, Ahsan was accused of “conspiracy to provide material support to terrorists”, “providing material support to terrorists” and “conspiracy to kill, kidnap, maim, or injure persons”. Ahsan was subsequently been put in a “super-maximum security” prison in Connecticut, in which prisoners are in open-ended isolation for 24 hours a day and, in certain cells, denied natural light. The United Nations itself has said: “Indefinite and prolonged solitary confinement, in excess of fifteen days, should also be subject to an absolute prohibition,” noting that scientific studies have established that some lasting mental damage is caused after a few days of social isolation. The Ahsan – McKinnon case only highlights the fact that “all are equal, but some are more equal than others”. The Home Secretary was praised by the Prime Minister at a Conservative Party conference for successfully securing the extradition of radical Muslim cleric Abu Hamza, along with “four others”, to the US. She purported that while the offences of McKinnon and of Ahsan have similarities in that they were both internet-based, Ahsan’s crimes, according to the US extradition request, were in support of terrorism and could have led to deaths. But similar to Shaker Aamer’s case, there has been no concrete evidence of Ahsan’s alleged activities linking to terrorism. It is all based on an assumption that underlines the fundamental attitude towards those who seem ‘less British than others’. And whether guilty or not, British residents have the right to a trial in their own country. It’s a wonder if anyone is actually safe from extradition when people’s nationalities and rights are put into question because of their cultural and religious beliefs. And what’s more, it raises the issue on whether Britain really is a ‘liberal democracy’. 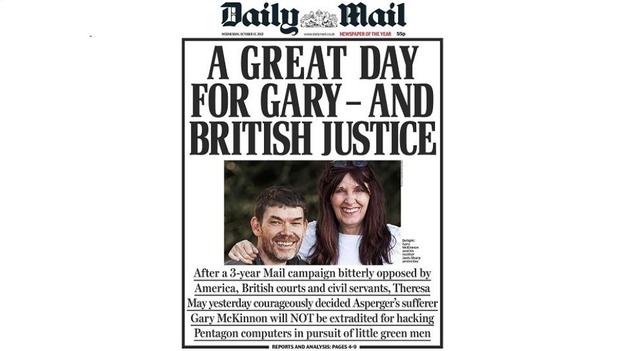 Posted by suswatibasu on April 15, 2013 in politics and tagged Extradition, Gary McKinnon, Guantanamo Bay, Hunger Strike, Shaker Aamer, Talha Ahsan.